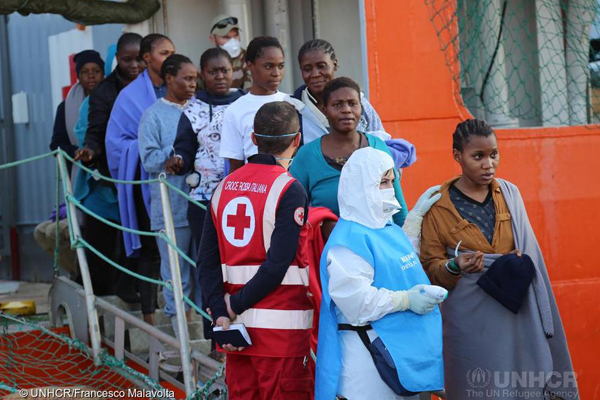 On May 4th, the Italian region of Emilia-Romagna, in collaboration with the association ‘Asilo in Europa’, will hold a public meeting which aims to discuss the current difficult situation on migration and potential future developments. “Migrants and refugees: conflicts, borders, hotspots and relocations. The current situation and future developments” is the subtitle to the public meeting “The EU Agenda on Migration: a year on the move” organized by the Emilia-Romagna Region, a region in the centre-north of Italy, in collaboration with the association ‘Asilo in Europa’. The event will take place on May 4th, from 10h to 17h, in Bologna (Third Tower, Emilia-Romagna Region Building, room “20 Maggio 2012”, Viale della Fiera, 8). Many international and Italian panellists will take part in the debate, which will first focus on the answers to the migration crisis provided by the EU over the last year, and will then deal with the situation of the “Balkan route” and other European countries, such as Greece, Germany and Sweden. During the morning session, the debate will focus on the topic of “Strategies and answers set out by the EU and Italy to tackle the influx of people fleeing from wars and humanitarian crisis”. Federica Toso from the association ‘Asilo in Europa’ will talk about the first results of the one-year-old EU Agenda on Migration and the EU relocation plan, while Nazzarena Zorzella from ‘Asgi’ (the Italian Association for Legal Studies on Migration) will focus on the situation of the hotspots and on migrants’ return to and detention in the Mediterranean (European) region. Later, Riccardo Clerici from the ‘UNHCR’ will deal with migration flows in the Mediterranean and the Italian ability to manage the current migration influx. Martina Tazzioli, from the University of Aix-Marseille, will talk about the management of migrant landings via sea following the Mare Nostrum operation, and will be followed finally by Bernardo Venturi from the ‘Italian Institute for Foreign Affairs’ who will deal with the EU global strategy on migration. After the break, Katerina Tsapopoulou from the ‘Political and Social Rights Network’ (Rete per i diritti politici e sociali) will discuss “The role of Greece between Turkey and the Balkan route: European reception or just a big refugee camp?” and Andrea Rossini from the ‘Observatory Balkans and Caucasus’ will talk about the Balkan route, from the first transits in 2015 to today’s unprecedented humanitarian crisis. Reception, welfare and new asylum laws in Germany following the great flow of 2015 will be the topic addressed by Nora Brezger from the ‘Italian Council for Refugees’ (CIR), while Lorenzo Vianelli from the University of Warwick will attempt to answer the question “Will Sweden shut its borders? Political-legislative changes in the reception of asylum seekers and refugees”. Suzana Abrahamson from the University of Bologna and Linkoping (SE) will close the event discussing the following topic: “Arriving and living in the “humanitarian superpower”: how was it and what’s happening today?”.